Increase in life expectancy is arguably the most remarkable by-product of modern economic growth. In the last 30 years we have gained roughly 2.5 years of longevity every decade, both in Europe and the United States. Successfully managing aging and longevity over the next twenty years is one of the major structural challenges faced by policy makers in advanced economies, particularly in health spending, social security administration, and labor market institutions. This book looks closely into those challenges and identifies the fundamental issues at both the macroeconomic and microeconomic level. The first half of the book studies the macroeconomic relationships between health spending, technological progress in medical related sectors, economic growth, and welfare state reforms. In the popular press, longevity and population ageing are typically perceived as a tremendous burden. However, with a proper set of reforms, advanced economies have the option of transforming the enormous challenge posed by longevity into a long term opportunity to boost aggregate outcomes. The basic prerequisite of a healthy ageing scenario is a substantial structural reform in social security and in labor market institutions. 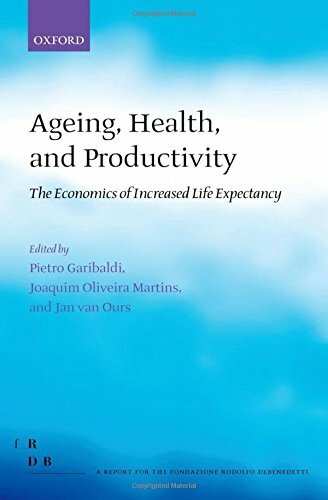 The second part of the book looks closely into the microeconomic relationship between population aging and productivity, both at the individual and at the firm level. There is surprisingly little research on such key questions. The book contributes to this debate in two ways. It presents a detailed analysis of the determinants of productivity, with a focus on both the long-run historical evolution and the cross sectional changes. It also uses econometric analysis to look into the determinants of the various dimensions of individual productivity. The volume concludes that the complex relationship between population ageing and longevity is not written in stone, and can be modified by properly designed choices.